ウィンザーを取る, ロンドンからストーンヘンジ、オックスフォードツアー, と訪問者のためのこれらの3つの驚くほど人気のある目的地を発見. すべての3つの魅力的な地域にこれはよく設計されたパッケージは、とりこに残すために失敗することはありません. オックスフォードに行く, ウィンザー, 覚えてうっとり日のストーンヘンジバスツアー. 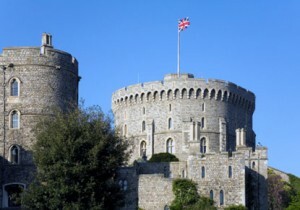 The town of Windsor is famous around the world for being the home of Windsor Castle, official residence of Her Majesty The Queen! Windsor sits on the River Thames and is lovely town in which to while away a few hours. 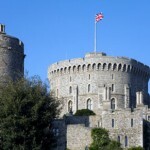 Its diverse mix of history, culture and heritage has made Windsor top of the list for many UK visitors. ザ 5,000 year old Stonehenge monument is one of Britain’s most intriguing landmarks. Sitting atop rugged Salisbury Plain, Stonehenge’s origins still continue to baffle experts. We don’t know who put these huge rocks there, or why! Theories stem from a Bronze Age burial ground to an astronomical clock, so do some investigating of your own as the tour travels to Stonehenge. From Stonehenge the tour will move on to the university town of Oxford. Take a stroll through the scenic cobbled streets and get acquainted with the historic city during a guided walking tour. See the Colleges of Oxford University, the oldest university in the English-speaking world! Alumni include T.S. Eliot, Hugh Grant and Bill Clinton – a star-studded line up! You will also see the 17th century Bodleian Library, where countless scholars have studied over the years.